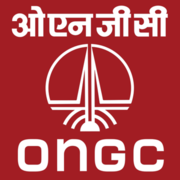 ONGC Recruitment 2018 - Apply Online for 422 Assistant Technician, JTA & Other Posts - WOU, Mumbai Maharashtra. Online Applications are invited by Oil and Natural Gas Corporation (ONGC) from 18 Dec 2018 to 01 Jan 2019 06:00 PM for 422 vacancies. High School or Class X equivalent Board examination with one year experience in lashing, loading and unloading cargo and painting of ships/boats. Intermediate with 6 months' training/experience in Security. Physical Tests apply. High School or Class X Equivalent Board Examinations with Driving License for Heavy Vehicle. 3 years’ Experience of Heavy Vehicles/ Crane operations. (And) Valid Grade-I certificate as per API-RP 2D or OISD RP205. Tests Apply. On the basis of Physical Tests/ skill test. Eligible candidates may apply online at ONGC's website (direct link is given below) from 18 Dec 2018 to 01 Jan 2019 06:00 PM. Candidates log on to http://www.ongcindia.com/.